Men of War is the name of several American comic book series published by DC Comics. 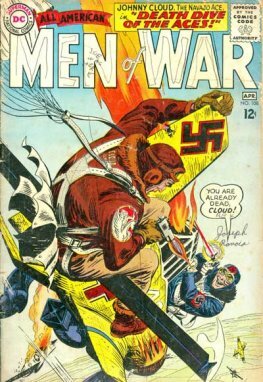 For the most part, the series was an anthology comic featuring fictional stories about the American military during World War II. The original series, All-American Men of War, published 118 issues from 1956 to 1966. 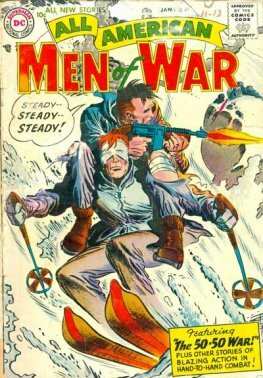 Contributors to All-American Men of War included writers Robert Kanigher, Hank Chapman, and France Herron; and artists Alex Toth, Gene Colan, Mort Drucker, Mike Esposito, Jerry Grandenetti, Sheldon Moldoff, Russ Heath, Bernard Krigstein, Joe Kubert, and Irv Novick. Pop artist Roy Lichtenstein's famous 1962 work Whaam! 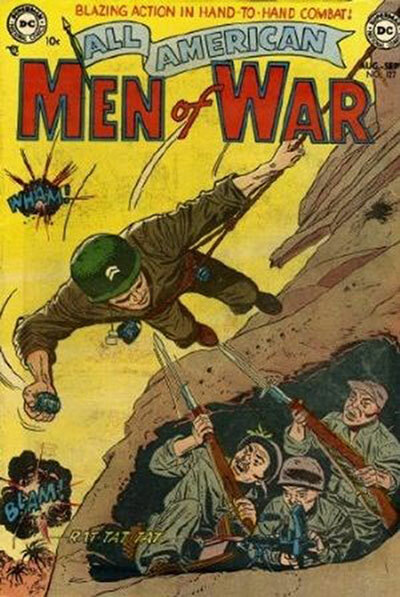 is based on a Jerry Grandenetti panel from the cover of All-American Men of War #89 (January–February 1962).